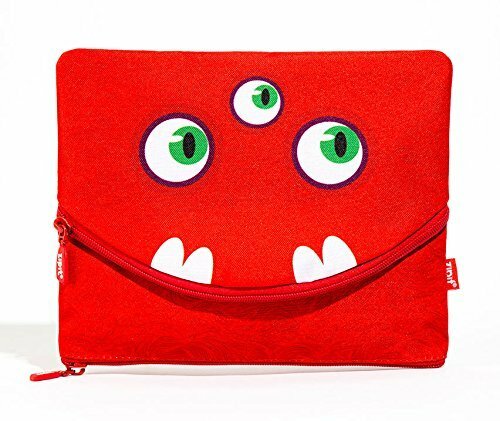 ZIPIT’s award-winning softshell design continues in our Wildlings Jumbo Pencil Box .The outside showcases a whimsical creature with a unique personality and inside, a bright, red velvet lining which creates a soft surface, ideal for an extra layer of protection. This cute pencil case measures 21*13.5*7.5cm and is great for holding just about anything! It’s made with sturdy polyester and crack-resistant EVA(ethylene vinyl acetate), an elastic polymer material that is similar to rubber. A Wildings Storage Box makes a great gift for young and old alike. The versatile design and sturdy, outer shell makes it ideal for storing so many things. Give a Wildling and unwrap a smile! A leader in inspiring design, ZIPIT is proudly sold in over 30 countries around the globe. We believe that everything we do should be done with passion, clever thinking and a big smile. By making products that are smart, colorful, and designed with a twist we encourage our customers to be original, optimistic and fun. Plus, when you register your purchase on our website you’ll qualify for lifetime warranty against manufacturer defects. STURDY AND LIGHT – The Wildlings Storage Box is lightweight, yet tough enough to protect the contents inside. At 21*13.5*7.5cm, you can store school supplies, office supplies and more. PLAYFUL DESIGN – Each pencil case features a printed Wildling creature with adorable features. The bright colors, patterns, and unique design, make this pencil case an instant hit. 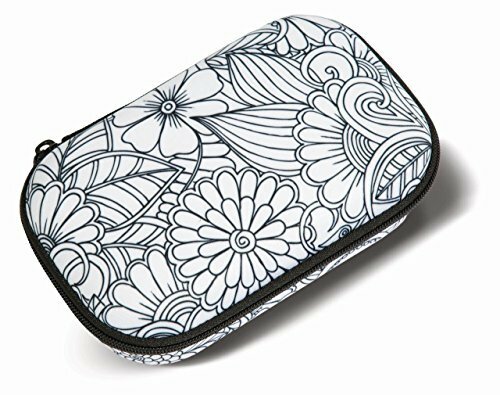 ROOMY AND VERSATILE – Use this big pencil case to hold approximately 50-60 pens and pencils. Use it as a first aid kit, or as a safe place for your cell phone, makeup or other personal items. EASY CARE – Yes, you can machine wash your Wildlings Storage Box on gentle cycle at a maximum temperature of 30°C. Air dry for best results. LIFETIME WARRANTY – Register your purchase on our website to receive free lifetime warranty against manufacturer defects.